A documentary about the devastating ethical and environmental impacts of fur farming will launch online today. The Farm in My Backyard was created by We Animals, which documents through photography, animals in the human environment. It will launch on We Animals' Facebook page before becoming available to watch on the organization's website. Speaking about the film, We Animals said: "In many countries around the world, markets for fur are closing down as demand wanes. But in the tiny Canadian province of Nova Scotia, the government is putting its own citizens' wellbeing second to this controversial industry, doubling down on its support for the fur industry despite its devastating impacts on the environment, animals, and the local residents pleading for change." We Animals Founder and Director, Jo-Anne McArthur, told Plant Based News: "During our Canadian fur farm investigations, the team and I realized that it's not just the animals who suffer on farms. Surrounding ecosystems are destroyed, killing wildlife and ruining the lives of all who live nearby. We knew that this was an important story that also needed to be told. 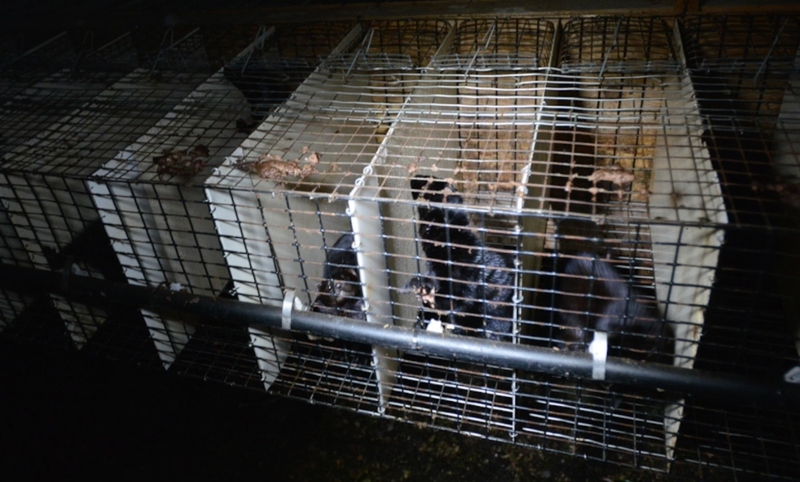 "The investigative team and I set out to document and expose the cruelty inherent in fur farming, but we also discovered the resulting destruction of surrounding ecosystems and communities. The story was bigger than we imagined - a crisis unfolding before our eyes. This situation is an emergency for animals, the environment and communities. "The destruction of ecosystems and waterways near east coast fur farms is a dirty secret and a story that needs to be told."